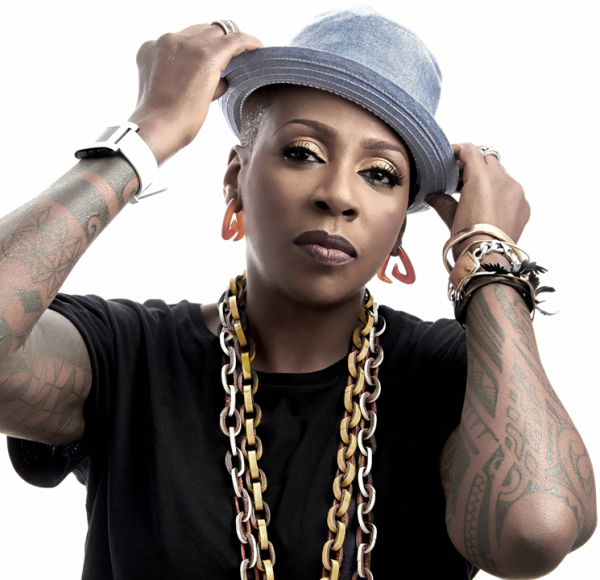 BY ANTONIA BROWN Gina Yashere is a UK-based comedian of Nigerian descent who took the roundabout route to becoming a stand up comedian by earning a college degree in electrical engineering. After college Gina worked at Otis Elevator Company building and repairing lifts, and occasionally rescuing riders trapped in stalled elevators between floors. But all along, she dreamed of a funnier future, moonlighting as a stand-up comedian at clubs around London. In 1996, she was a finalist in the Hackney Empire New Act of the Year, a long-running annual national competition for British comedy and variety acts, which she parlayed into a variety of roles on British television. Fast forward a decade or so and she’s killing on stage at The Apollo and then becomes the first British person to appear on the Def Comedy Jam. After successful stand up sets on Conan and Leno, Yashere starred in a recurring sketch comedy series on The Tonight Show called “Madame Yashere: The Surly Psychic,” giving attitude and fake psychic readings to unsuspecting people on the street. Last year she became the latest British correspondent on The Daily Show with Trevor Noah. Following stand up specials on Showtime and Stars, Yashere’s act can be seen on the second season of The Stand Ups, now streaming on Netflix. In advance of her upcoming two-night run at Punch Line Philly this weekend (Nov. 30th-Dec.1), we got Yashere on the horn to talk about elevators and the Daily Show, the politics of identity and the secret of making people laugh. PHAWKER: .Before your life as a comedian you worked as an elevator engineer for Otis Elevator Company. What exactly does an elevator engineer do and how did you wind up in that line of work? GINA YASHERE: I studied electrical engineering in college. An elevator engineer is actually many different jobs, but I started off building them. I would go onto construction sites where a building was going up and we would assemble the elevator as the building went up. Then I went on to repairing them so I’d be on call and if an elevator would break down I would turn up and repair it and if people got stuck on them I would rescue them, ya know? PHAWKER: You’ve spoken in your stand up on how your Nigerian mother saw you becoming a doctor, lawyer, or engineer. Of course your mom supports your decision to pursue comedy now but what words or advice would give for people whose career aspirations differ from what society or their parents expect them to do? GINA YASHERE: My thing is always follow your own instincts, don’t live your life for anybody else if it’s something that you really want to do and you got the passion and you’re willing to work hard at it and suffer through the failures and not worry about what other people think then go for it. Better to try and fail than never to have tried it and always wondered what would’ve happened. PHAWKER: What in your estimation in the difference between British and American audiences in terms of what they find funny and how do you have to recalibrate your act for each audience? GINA YASHERE: My act is just me being myself, and I’ve never changed that and I’ve never tried to change my personality or my character or whatever to fit into what I think an audience wants. Coming to America, look in England we got all your TV shows, we got all of your movies, we know more about Americans know about anybody else because 75% of you never leave America you know what I mean? So you know coming to America I already knew a lot about the culture and a lot about the language and a lot about certain things so it wasn’t that much of a massive jump to alter my comedy. My material is about being an outsider in America because I’m just talking about my experiences in life. PHAWKER: How did you land a job as a correspondent on The Daily Show? Have you always felt there was a place for comedians to speak on the political and social issues of society? 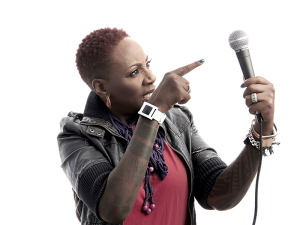 GINA YASHERE: I’ve never considered myself a political or social issues type of comedian. I just talk about my experiences and just by virtue of who I am — a black female immigrant in America — I’m political just by virtue of who I am. I don’t wake up in the morning and go “Right, I’m going to write 26 jokes about Trump” or whatever I just don’t, my comedy just comes from my life. As for how I got the job on the Daily Show, it was a text from Trevor. It was that simple. I never auditioned. I knew Trevor from bumping into him all over the world doing shows. I knew him before he got the Daily show, I knew him before he was the famous Trevor Noah. I’d see him at shows all over the world. I’ve worked with him in Australia, bumped into him at a show in Miami, I bumped into him in the UK so he knew my work. When he got the show and saa they were looking for new correspondents he just texted me and was said “Hey, Do you want to come and help me out on the show?” and I said “Of course” and that’s basically how that went. PHAWKER: Last question, it’s kind of philosophical, but what do you think is the secret to comedy? And what would you say is the secret of making people laugh? GINA YASHERE: There is no secret! It’s a combination of a million things and if you got them all and they all come together right then that’s it. I mean for me the most important thing to me is likeability, you know if people do not like you or do not trust you, it doesn’t matter you could have the best jokes in the world they’re not going to laugh because they don’t trust you they won’t have any kind of connection with you. So for me as a comedian the most important thing for me when I go on stage is to immediately endear myself, let them know I’m funny, let them know I’m just another regular person and we all got similar observation and then I could go into whatever I want to do and then once I got them listening and trusting me as a comedian then I can pretty much do anything and tell them anything. This entry was posted on Wednesday, November 28th, 2018	at 3:22 am	and is filed under News	. Responses are currently closed, but you can trackback from your own site.